It’s great to see that for the first time in five years there’s been an increase in the number of eligible women taking up the offer to be screened for breast cancer, with levels remaining above the NHS Cancer Screening Programmes’ minimum standard of 70%. The latest figures show coverage at 75.5 per cent - up slightly from 75.4 per cent the year before. Breast screening aims to reduce deaths from breast cancer by finding and treating cancers that are too small to be felt. The aim is to treat them early when there is a greater chance of a cure. Deciding whether to have screening is a choice and it is important that women are sufficiently informed to decide for themselves. This is because there are risks as well as benefits, and over the last few years it’s been hard to miss the ongoing debate about the pros and cons. On the one hand, breast screening has been shown to saves lives by detecting the disease earlier, but it can also detect small slow growing cancers that don’t need treating – the so-called ‘over diagnosed’ cancers. 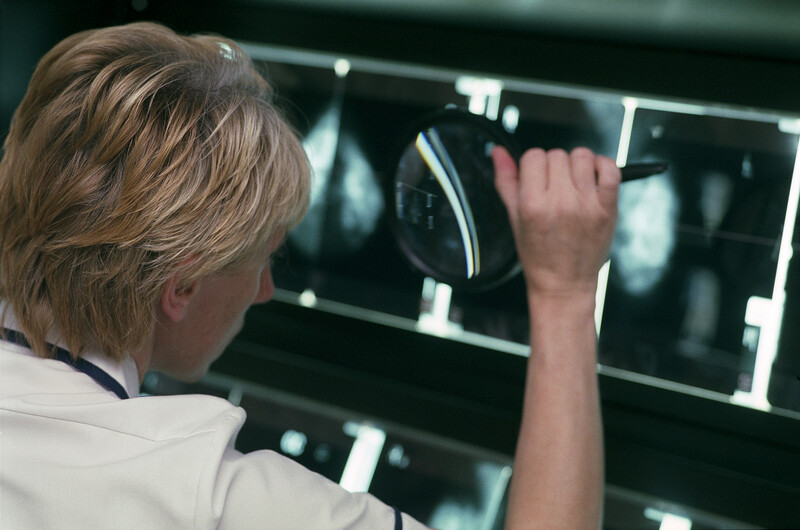 All women aged 50-70 who are registered with a GP are invited for a mammogram every three years. In addition, some women are now invited from age 47 and up to the age of 73 as part of a research trial looking at whether there are benefits to extending the screening age. We’re currently looking at expanding this further by giving women over 70 two additional breast screens. Women who are aged 70 or over can still choose to have regular screening. Although they won’t receive an invitation by letter, this can be arranged by contacting their local screening service or doctor. Women younger than the screening age aren’t routinely offered screening because breast cancer is less common in women under 50 and mammograms are less effective. However, women under 50 who have a high genetic risk of breast cancer because of family history may be offered regular screening if referred by their GP. How can women make an informed choice? Breast cancer remains the most common type of cancer in the UK, but there have been huge improvements in survival and screening has undoubtedly contributed. But we have to remember that screening is a choice and we take our responsibility to provide women with clear explanations of the benefits and harms of breast screening very seriously. We make every effort to ensure the information we provide is fair, balanced and easy to understand so women can make an informed decision. To support women, we present the possible benefits and risks in all of our literature – and most importantly in the leaflet that gets sent out with every invitation. 'Helping you decide' presents an honest and reliable account of what a mammogram is like and helps women make a choice about whether they want to be screened. Researchers are trying to find better ways to differentiate between those women who have life-threatening breast cancers and women who have cancers that are not life-threatening, but they are not there yet. There is also a debate on which early cancers may be safe to be left untreated, and currently researchers are conducting a Cancer Research UK funded trial focusing on this issue. How are we trying to reach more women? 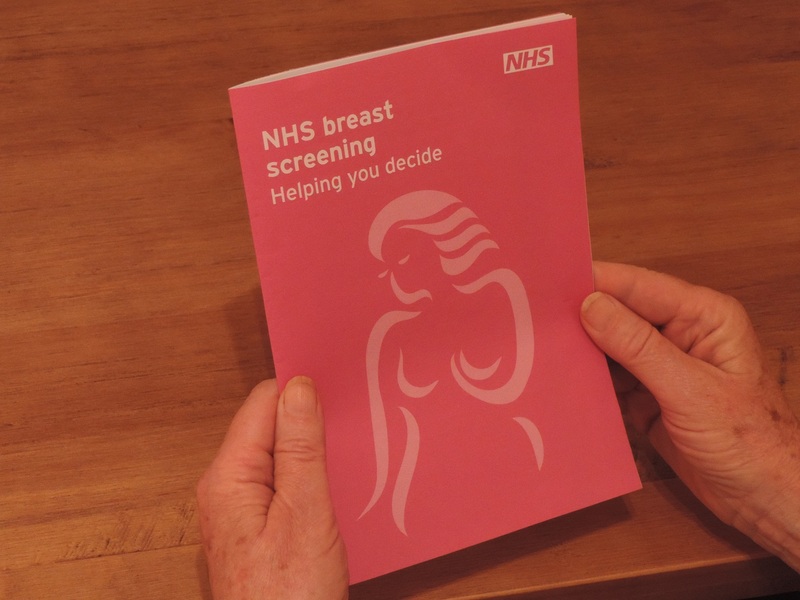 We are working with our NHS and community colleagues to make breast screening as easy as possible for women who want to attend their appointment. This doesn’t mean telling women what decision to make, but it does mean helping to ensure that all women have an equal opportunity to access screening if they want to. For example, we know women in London are less likely than women in the East Midlands to take up screening. We also know that women from black and minority ethnic backgrounds are less likely to attend – as well as women with learning difficulties. We need to better understand if there is something more we could be doing to help women who want to attend but aren’t currently doing so. supporting those who may have any concerns by providing them with useful advice and information. We’ll keep you updated on our progress and make sure that when it comes to breast screening, we continue to support women in making a choice that is right for them. For more information on breast screening visit NHS Choices. It would be nice to truly promote choice and not send out a pre booked appointment "invitation " the woman might not be expecting or want to attend. To send a pre booked appointment with a request to please cancel if you don't want to go is surely assuming and expecting us to attend. I too came home to a pre- booked invitation today, after a very difficult & upsetting day at work. To be honest I'm pretty sure that I will decline this appointment & wait until I am 50, I'm 48 at present. It would have been better to send me a letter asking if I would like to be part of the trial for mammograms under the current age limit. I feel quite unnerved by this letter & honestly wish it hadn't been sent to me. If anyone dared send me a pre-booked appointment, I wouldn't cancel, I just wouldn't show,their problem, I didn't request the appointment! Pre booking appointments must save the NHS a lot of admin time and therefore a lot of money. I always make the effort to fit it in if I can, and have found it easy to change the appointment when I could not attend. Keeping to the appointments times is important. I used to attend a mobile unit, who always saw patients on time. Today I went to a hospital and was seen 30 minutes late. This does not help. I suspect that they book more appointments than can be fitted in, because some people do not turn up. I was sent a pre-booked appointment, which I couldn't make. The letter said I could ring to change the appointment. I rang promptly but was told there were hardly any alternative times available anyway. I asked if I could just turn up and wait incase there was a cancellation (especially as I finish work early some days and could get there before 5pm) . But was told no, because my notes would not be there. But weren't they there anyway, for the appointment I couldn't make? Apparently not, it takes days to get them there. When could I come back? Apparently in 3 years time! So, having tried unsuccessfully to find someone to run the shop where I work for an hour, I had to cancel the appointment... I'll try again in 3 years time!